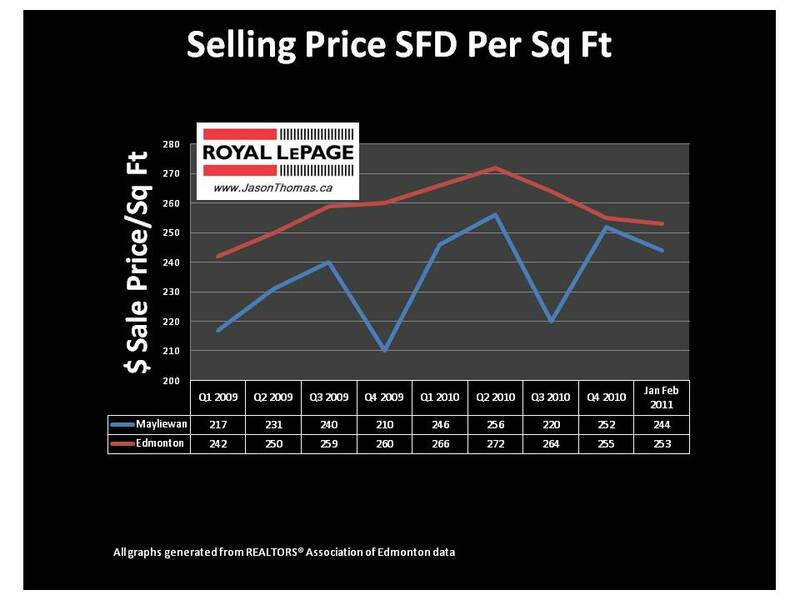 The Mayliewan Edmonton real estate average selling price per square foot has been weaker than the Edmonton average for the last 2 years. The Mayliewan area's strongest quarter was the same as Edmonton's which was the 2nd quarter of 2010. Mayliewan did have a strong last quarter of 2010 and didn't drop off too much in the first two months of 2011. For more detailed MLS® sold data on the Mayliewan Cherry Grove area as well as other Edmonton neighbourhoods.